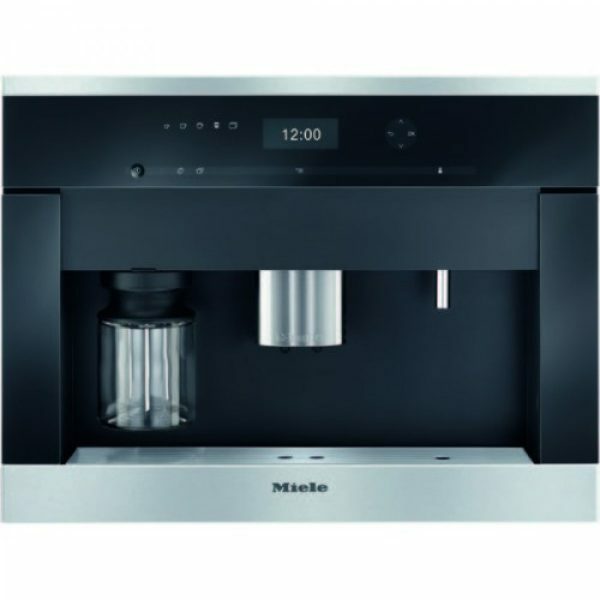 The Miele CVA 6405 CLST built in coffee machine great for coffee beans or ground coffee. This integrated coffee machine is great for entertaining. its ability to make a range of coffee types. You will be the neighborhood Barista in no time. Its stainless steel and black glass finish is sure to add a sense of style and sophistication to any kitchen . Please note – this model is a plumbed in version and will require a water connection.